Preheat oven to 400°F. 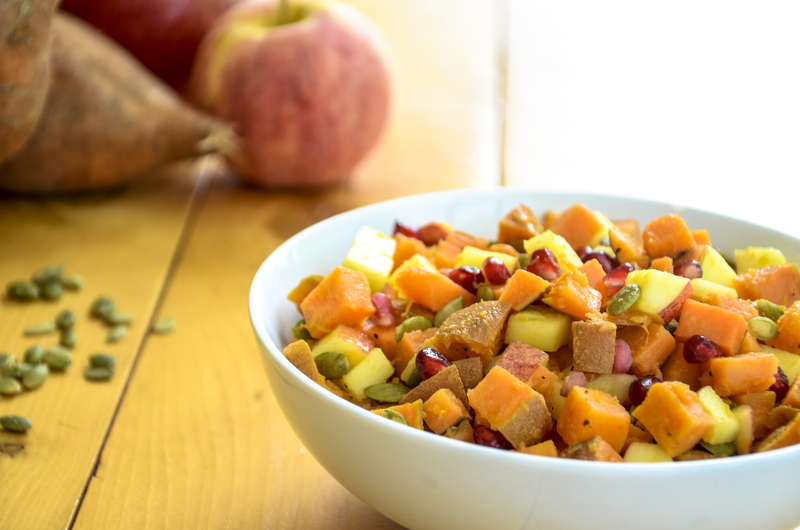 Drizzle diced sweet potatoes with 1 tsp of olive oil and roast in the oven on a baking sheet for 10 minutes. Once sweet potatoes are cooked, remove from the oven and allow them to cool. 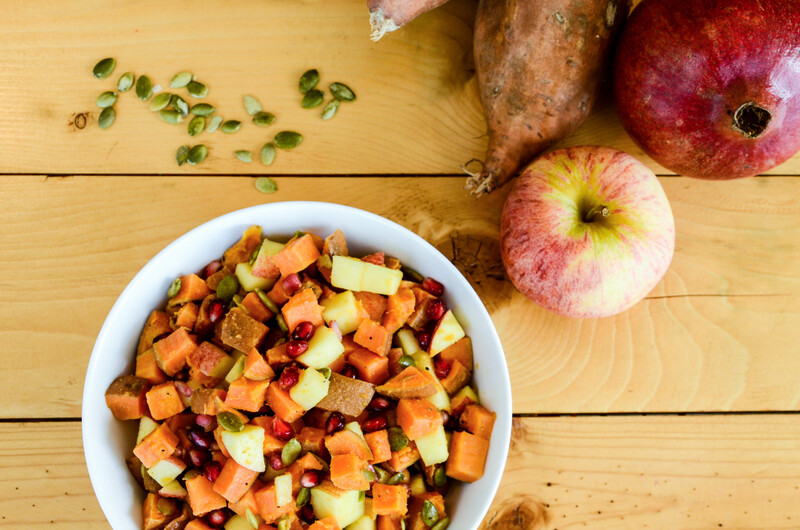 In a large mixing bowl, combine the sweet potato, apples, pomegranate seeds, and pepitas. Whisk the remaining 1/2 Tbsp of olive oil, apple cider vinegar, salt, and pepper in a separate bowl. Once mixed, add to sweet potato mixture and toss until the salad is lightly coated.